150, 10 Watt LED’s and 50 tiny speakers are suspended on 24, 20+ m stretched aircraft cables which form a ruled surface. While the behavior of the LED’s create a changing space of bursting points, coloured lasers that bounce off the surface of fixed and changing mirrors generate fleeting architectures of lines and shapes that flicker and disappear before the visitors’ eyes. Counter-pointing the visual scenography, multi-channel audio from the small speakers as well as the larger environment shifts between sparse natural and dense electronic textures. 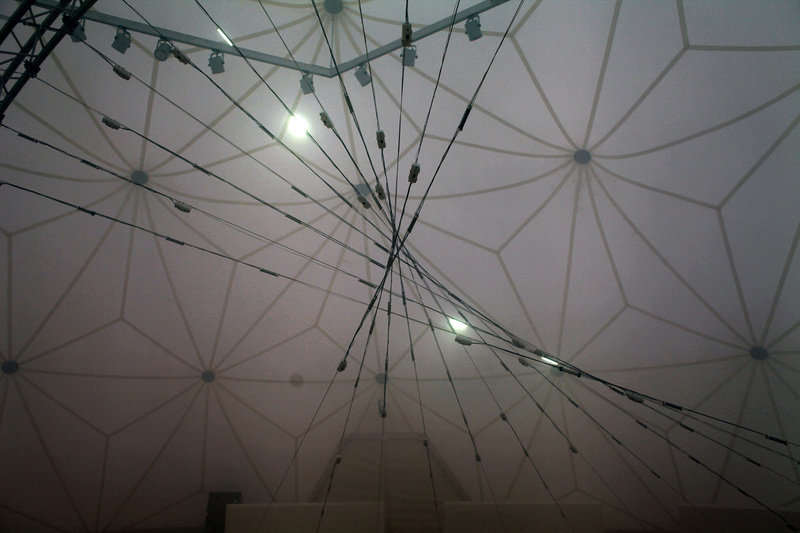 Across the architectural cable structure, the network of tiny speakers produce the behaviours of mass sonic structures made up of many small elements (sonic grains) creating swarms of tiny sounds that resemble a field of cicadas or masses of insects – akin to Xenakis’s interest in the stochastic movement of mass structures. 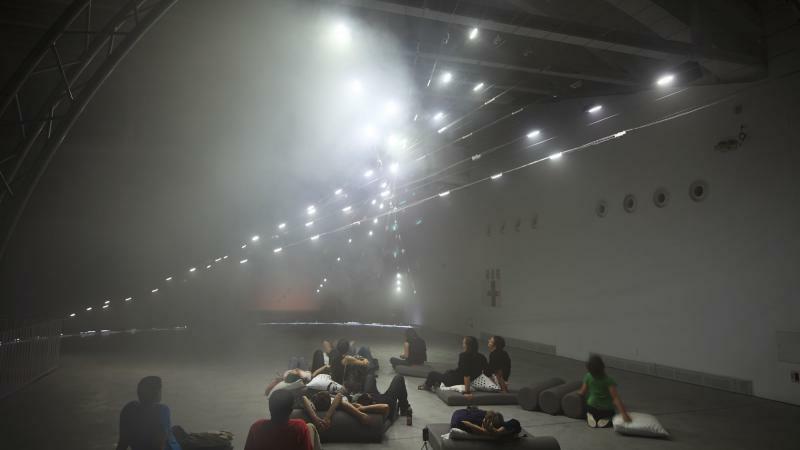 The re-imagining runs in both 15 minute performance and continuously evolving installation modes. The system is steered through a custom developed wireless sensor network utilizing machine learning techniques, specifically from the research area of reinforcement learning in which software learning agents interact with their environment in order to achieve a goal. The agent seeks to achieve its goal despite the fact that there is a high degree of uncertainty about the environment – in other words, the agent doesn’t know until it does something and is then “rewarded” in either a positive or negative manner. 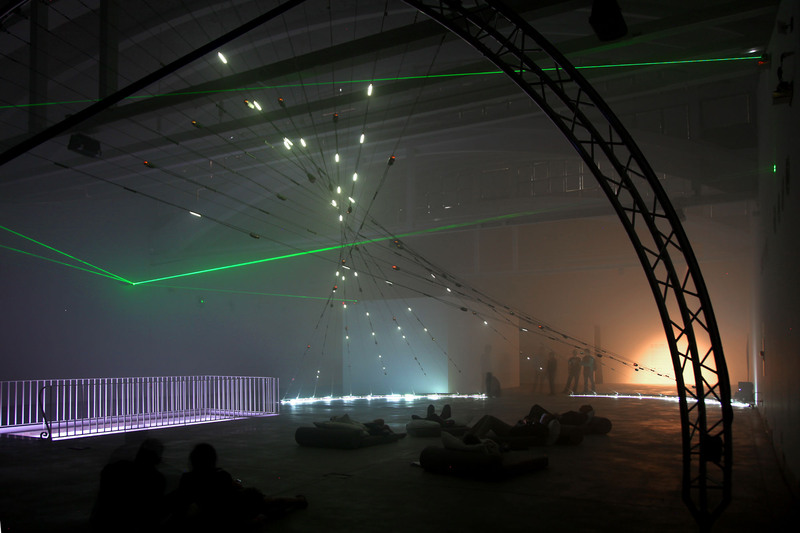 In N_Polytope, agents receive sensor-actuator information from the environment (the brightness of an LED and the frequency/amplitude of a sound) and can either turn the LED or the sound on or off, receiving a reward for it. However, the environment around the agent (and the sensor) is continually changing, which makes it challenging to determine what steps the agent will take and what such actions will result in. The agent’s actions thus influence not only the state of the environment in the present but also can affect the environment’s state in the future. The overall course of N_Polytope is that of an event that is partially scripted and partially indeterminate thus enabling the performance to continually move between order and disorder, tranquility and thundering chaos. 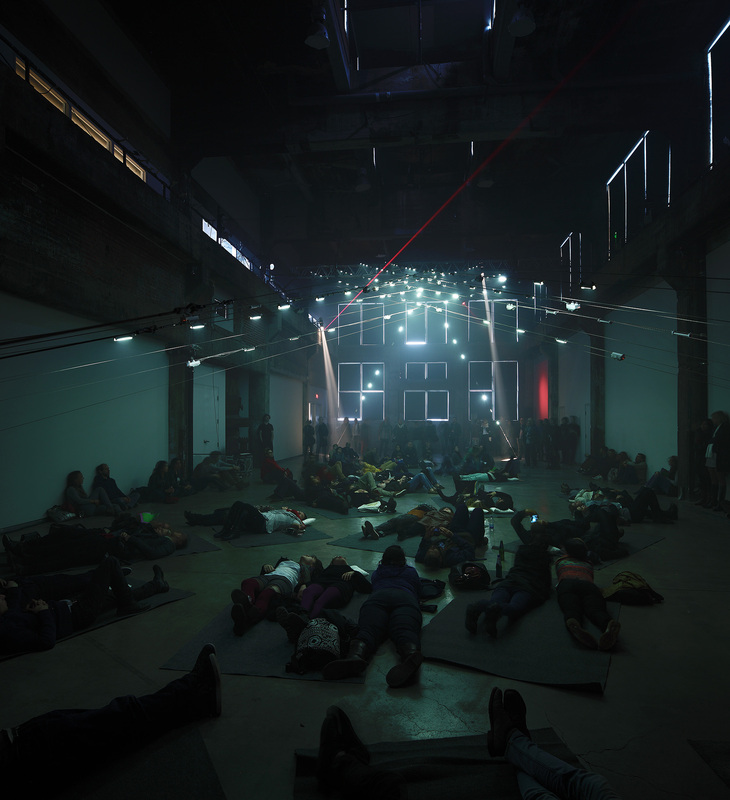 The audience “feels” these algorithms as two forms of “life” – the behaviors in light and sound and the “life” of experiencing such a system evolving in the present. 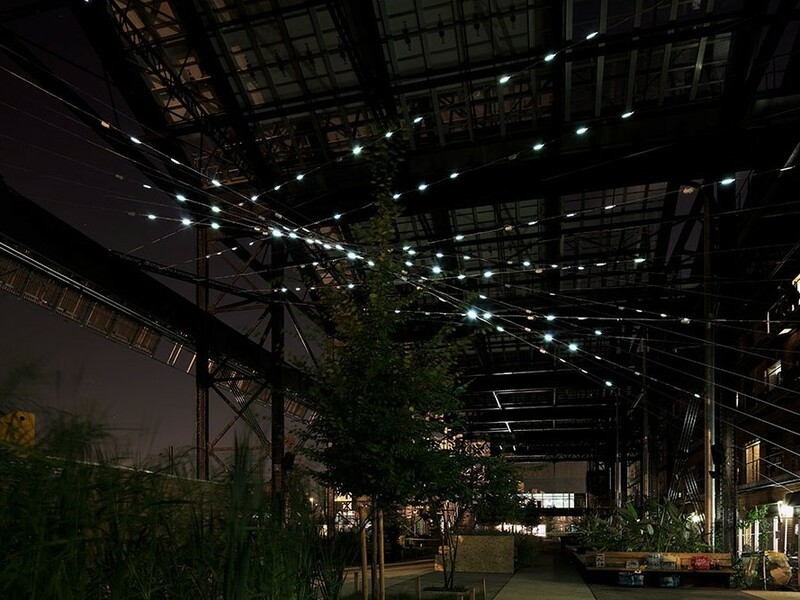 Honorary mention for the Prix Ars Electronica 2013 in the category Hybrid Art. Special mention in the 14th VIDA Art and Artificial Life Award from Fundacion Telefonica.